Just a quick suggestion, you know how you can use F1, F2 and F3 to pick your classes; please can you add F4, F5, F6, etc. if people have purchased more classes. Its only a small touch. I'm aware of that, wish i was able to get some more but quite expensive. There are some sick looking ones! Keep up the great job! 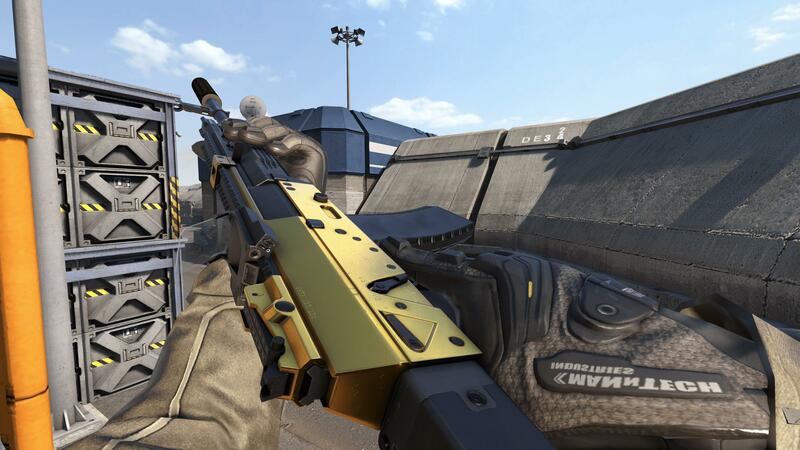 A bit old, but behold the majestic gold ak-12, forget all those mainstream gold weapons and get gold ak-12. It'll drop your enemies pants faster than you drop them. Trust me. I'm not in favour of votekick for the reason outlined by NightReaper above. Also, I've never much been a fan of matchmaking systems in general. For IS in particular, I don't think we currently have a large enough playerbase for it to be workable. The rest seem good to me. Hmm, i've been playing with quite a lot of AFK people lately.. A report option would be really fine though due the amount of hackers lately. - When in lobby, be able to click on player names to see their info etc..
- Bring Ironsight to Steam..
Got more? Share them here. What's up ya'll, my name is Rob Wolf B, known as WolfsEyeHD in Ironsight. I'm a 22 year old male who lives in the Netherlands and is working for some game companies as a moderator/administrator/manager. Currently looking for some active Ironsight players who'd like to teamup, play together and have fun in VC's. My English is pretty good i'd say and my main language ofcourse is Dutch. Sick video dude, great job! Mind playing together? thanks for that! paint made! sorry! Anime is shet, change my mind. 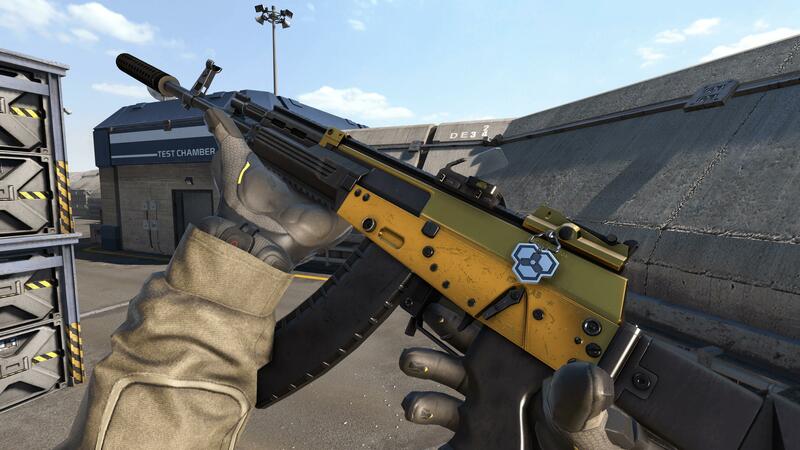 I was wondering, what weapon will look very good with GOLD on it. Share here your thoughts/opinions about it. But I do know one thing..
No for real, i really enjoyed watching it. TRASHY Clan are now recruiting, not just for casual play but we are looking for players to take part of our competitive team to compete in tournaments. We have no requirements to join as long as your friendly and not here to cause trouble! First of all Let me say Thanks for the game! Its a long Time since i enjoyed a shooter But ironsight does it! Ongoing i will write some things i dislike or would Be happy to See some improvements about. Its Not my Intention to flame or hate! 2. Mele feels terible! Increasing that Hit detection cone should help a Lot. Also it feels unfair that Hits from Guns seem to Be a higher priority. To handle this Maybee Increasing the speed of the Meleanimation which locks and zooms you on your enemy. And Why the fu*K arnt meleattacks Not always oneshooting?? 3. Weapon atachments Dont feel as They would change any thing neither have any impact (besides silencer and Vision). You could Buff them and nerf weapons, or increase Player health an only buff them, or Balance them internly f. E. Give positive and negativ stats. Anyhow Make them have a impact and change the feeling of a weapon. 4. Repairing, Why? This is so stupid If you Need it to keep the currency balanced Just remove the 20 min boxes or lower the login reward. If you can/will Not remove it give US at least a Button to repair everything Not Just one class. 5. See What gamemode you are playing when selecting your class since you cannot change it afterwards. Or Make it changeable while the timer to Start Ticks. 6. S&D bombdefuse Time is way to low, If your on the Wrong Spot you have No Chance to reach it in Time With a tactical aproach. 7. Remove killstreaks from Highlights. Its Not a Highlight If you See a deadbody that pressed 5 before He dies even If He gets a penta. Highlights should Be only Player /skill dependend. 8. Make Those amotypes, claymore etc posible to obtain forever, noone likes to But that thing for 1 / 7 days, Its a shady way of a ingamemoney sink. And please fix How often both Players die. P. S. Sorry for my english i gave my Best. I disagree with point 6, to slow? Really? It's quite fast if you ask me. Exactly what PataconVE said. The "paywalls" don't actually effect your gameplay whatsoever so doesn't even matter AND you can get everything in the game with grinding anyway. The free to play model in this game is amazing and they could have easily have just made 0 free chip gain and forced everyone to purchase chips for their desired skins/characters. Grinding for months to achieve a single thing. PP2000 WORST WEAPON? LET'S SEE THAT! Like the video, dislike the music. I heard warface is pay to win according to the steam reviews. Or the grinding just too high? Yea, i stopped playing Warface when i had around 55+ hours into it. Game was pretty dope and good at the beginning but it starts to get very boring when reaching level 20-ish, the grinding is hard and the community is pretty toxic. For a game like this? Emp launchers and skins can wait, but netcode can not! I totally understand and agree, had some problems at the beginning as well but after some fixes i did myself i was able to play. Since beginning till now, nothing has changed exept the maps 'n stuff. But i cant deny that the paywall does exist in some form or shape in this game. It’s not the best business strategy but not the worse that makes players start a controversy. Every 5th day you get 5 chips and every 2 days you usually get 3. The business strategy is either you wait until basically forever to get one or you spend money from pressure. Only those who spend money will keep playing. Those who doesnt and want to wait would usually give up and not play the game. That's a very accurate explanation of everything i had in my mind. I'll write you a private message with an alternative way to redownload the game without worrying about the patches. Shouldn't you be outside playing soccer with friends? Since the release, nothing really has changed Solaria..
Well, the community will still agree w/me. True true and true. I'm an old CA player hehe, don't worry i know what you're trying to say. It's just, Ironsight has just so much potential but they aren't really using it. Hello admins? What about the network? What takes you so long? What about steam version? False, Twitch is actually more influential than YouTube, paying big named streamers to do sponsored content actually leads to more players joining games in todays era. Don't get me wrong youtube helps, but twitch is becoming one of the biggest influencers in the gaming world. Realm Royale for instance, the game was massive, unfortunately Hi-Rez messed up and didn't listen to their community. But the majority of the players came from Ninja, Shroud, Summit, etc streaming the game. That my friend, is 100 percent correct. Zombie are overused? Oh come one. The only f2p game which has good zombies was combat arms. Game is slowly dying cause there isn't any progress, the promoting of the game is also not that great, devs are a little lazy in everyone's eyes and more related stuff to all of what i said. It's not only my opinion but also from lots of others. The launcher doesnt work at all, I click it, then shows me in the screen "AeriaGames" and then nothings happen, the game dont run. I tried to update and the launcher shows me "the update failed, try to unninstal and reinstall the game". I started playing this game since March 2018 and holy moly i loved this game. Everything was nice and all that stuff but stopped playing cause it wasn't really giving me the feeling anymore. It's always the same and the leveling takes way to long. I have 40 hours in-game and i'm still level 38 which doesn't make any sense. So here/there is my feedback/suggestions. The community asked this since the beginning and not really ANY good answer has been given. 1. A better report system. 2. A VOIP feature for ranked/competitive. 3. The game beeing more promoted to gain more players, there are enough but not enough to play a ranked/competitive match the way it should be. 4. The same weapons, add some new? 5. The same outfits, add some new? 6. The same maps, add some new? Well, Frontline is new and the boat/shiny looking map as well. 7. Create new modes? Hide 'n seek, Battle Royale, 1v1/2v2 arena. 8. Optimize the Discord better and give players a reason to come back, levelbots, customroles and just something more nice looking. 9. Get this game to Steam?!?! 10. A game like this has so much potential, USE IT! 11. And not to forget, the AFK-Players. I know it takes time to develop the game but nothing has really changed since release. Tbh, nothing has changed since the beginning. That is not a grenade launcher. That is an EMP launcher. It only destroys drones. And enemies when they're low hp.